Darjeeling honeymoon trip is incomplete without strolling through the aromatic and verdant tea gardens. The blue sky, gentle breeze, and perfectly arrayed gardens invite a surprising number of romantic couples every year. Local women look great plucking leaves and flip them to the basket carried by them. Or a couple can know better about the processing of tea from one of the famous tea factories there. This is one of the best things to do in Darjeeling for couples. A mesmerizing town in Darjeeling, Mirik is all dedicated to nature lovers. Famous for scenic splendour, Sumendu lake is the very famous attraction of this place. Pine trees on one side and lush Savitri Pushpaudyan Garden on its other, the lake is a perfect romantic escapade for romantic couples who come here to visit it. Boat cruise allows you to get in a direct contact of nature. The ultimate sunset point, Tiger hill will give you a mesmerizing feeling like you are above the clouds and believe it or not, quite you are as you are standing on a breathtaking height of approx 2590 meters from sea level. Mount Everest is clearly visible from here on a clear sunny day. 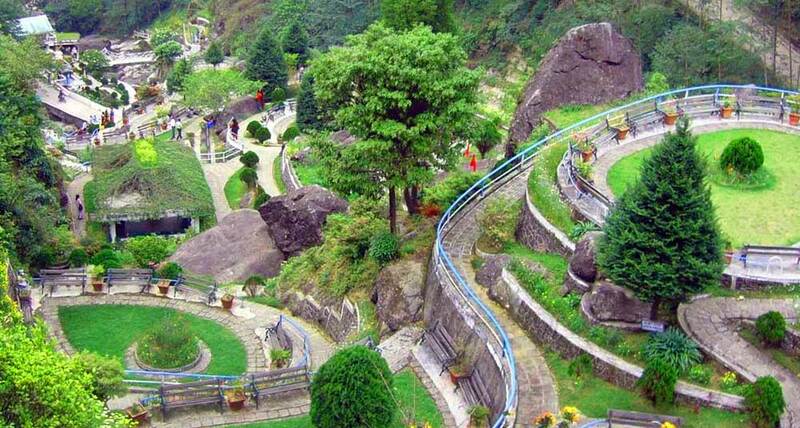 Located 11km from Darjeeling, It takes about 40 minutes to reach Tiger Hill by car. Located at a distance of 5km from Darjeeling Town and right below Ghoom, Batasia Loop as the name defines is a loop of a narrow gauge railway track where the Toy Train takes a sudden sharp descent from Ghoom. 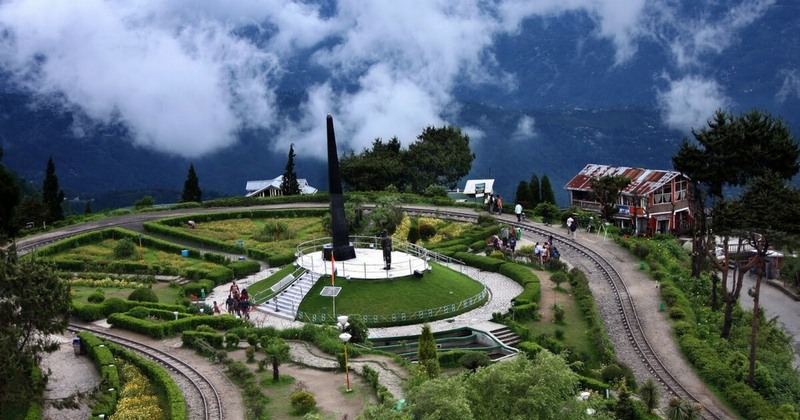 Batasia Loop is a wonderful place display manicured gardens, streams, and falls from where you can get a wide view of the amazing landscape of Darjeeling Kanchenjunga and the other Eastern Himalayan peaks. 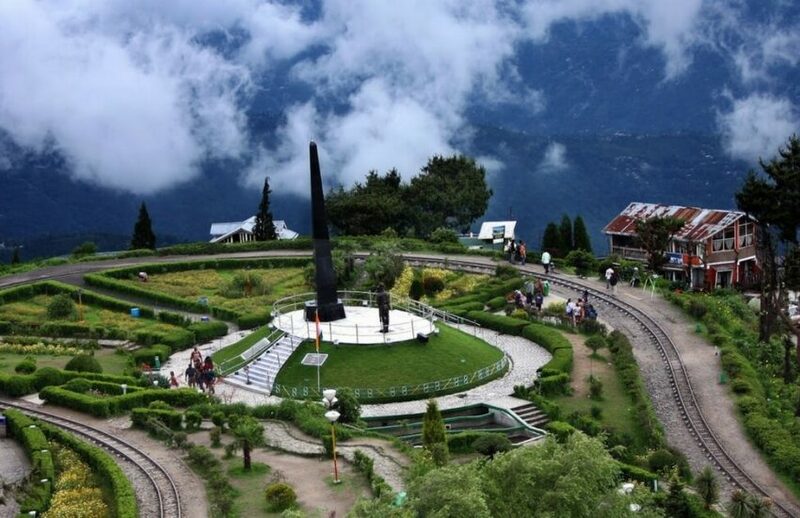 Located at a distance of few miles from the Darjeeling town, Rock Garden and Ganga Maya Park are two scenic parks in the wonderful setting of Darjeeling. Rock garden takes about 10 km and Ganga Maya stretches to another 3 km of distance. Rock Gardens are a kind of beautiful terraced gardens situated at different levels and an amazing waterfall comes out of them with nice seating arrangements. Ganga Maya is a beautiful stream flowing through the gardens. 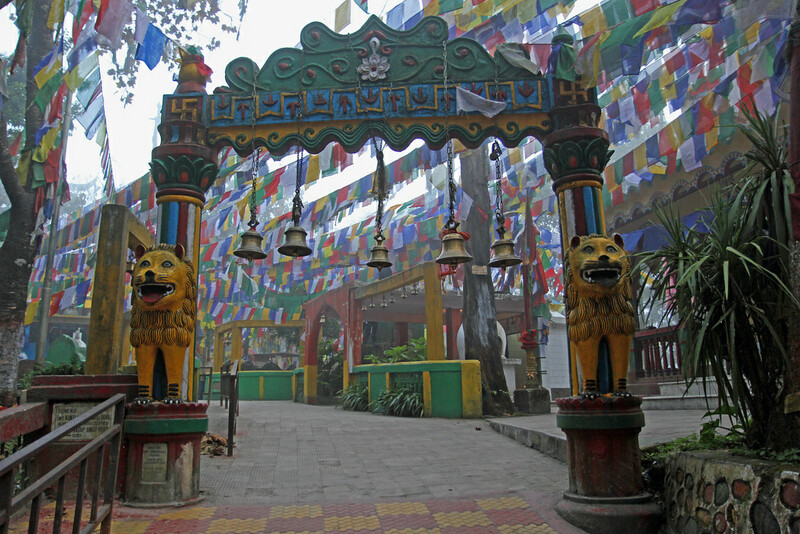 Chowrasta or the Darjeeling Mall is a shopping street in Darjeeling. This is a lovely little market area, a public square which looks amazing in the evening. This public place allows you to lounge & bake in the sun, sit and watch the lovely views of the mountain range and see many locals and tourists hanging around. On its one side beautified pine trees are lined up through which you get stunning mountain vistas and the other side is lined with lovely and different kinds of shops. Benches are there to relax and spend a time with your loved one. This is the one and only way to explore the vistas of whole place as you ride from one end to the other end of the city. 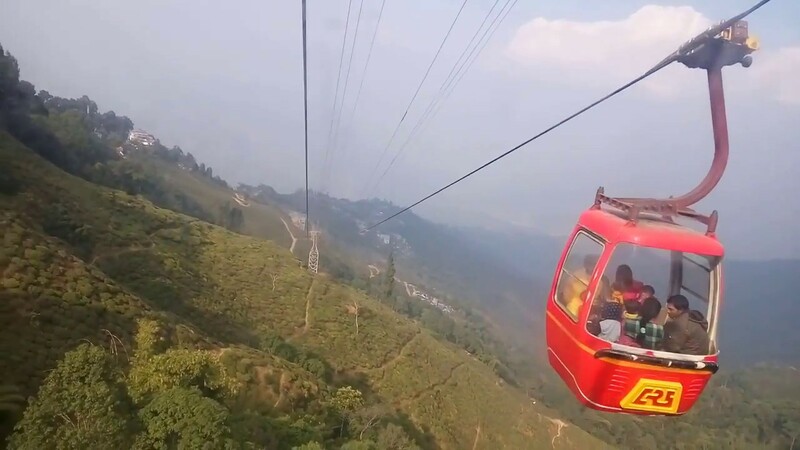 From the ropeway of Darjeeling which is also known as the Rangeet Valley Passenger Cable Car, you can witness the amazing views of the valley below, enjoy the lush green spread of tea gardens, dark forests, streams in their full-flow, waterfalls, and the breathtaking snow peaks at the background. Get off on the way at a lower station and enjoy the views of tea estates, walk through them, or just simply relax. World Heritage Site declared by UNESCO, and one of the best national parks in India, Khangchendzonga National Park has lot much to offer such as stunning caves, serene lakes, and full flowing rivers. Spread across a huge area of 849 km square, this national park is home to the various endangered species like Himalayan tahr, snow leopard, and red panda. Situated behind the Mall, Observatory Hill is a perfect place to enjoy a landscape view of Darjeeling and the peaks surrounding it. The very famous Mahakal Temple is the central temple of Darjeeling of all faiths, which is located on top of the hill where the original Dorje Ling Buddhist Monastery once stood. 10 minutes of drive by car, you will reach to a wonderful area that is a symbol of peace and tranquillity. Perched on the Jalapahar hill, the Japanese Temple is built in traditional beautiful Japanese style where you can offer the sincere prayers and feel the spiritual peace amongst humming and chants. Very close to Japanese Temple, Peace Pagoda is the place where there are four large avatars of Lord Buddha are situated. The view from the top is amazing and offers mesmerizing views. 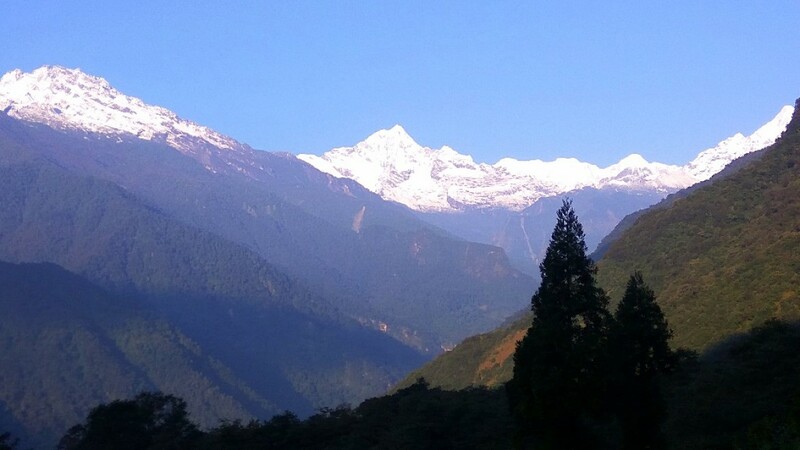 You can see the snow-clad peak range from here including the Kanchenjunga. These are the best tourist attractions in Darjeeling which are frequently visited by the tourists. 3 – 4 days of the trip is enough to explore the beauty of Darjeeling and its nearby areas. 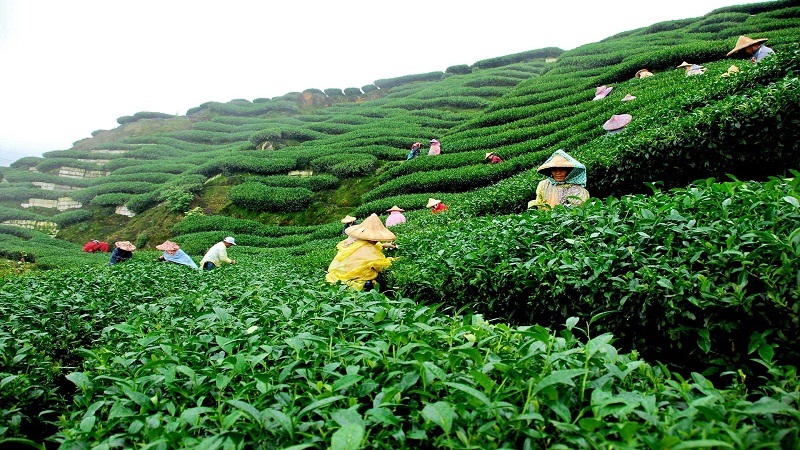 February to March & September to November is the best time to visit Darjeeling. 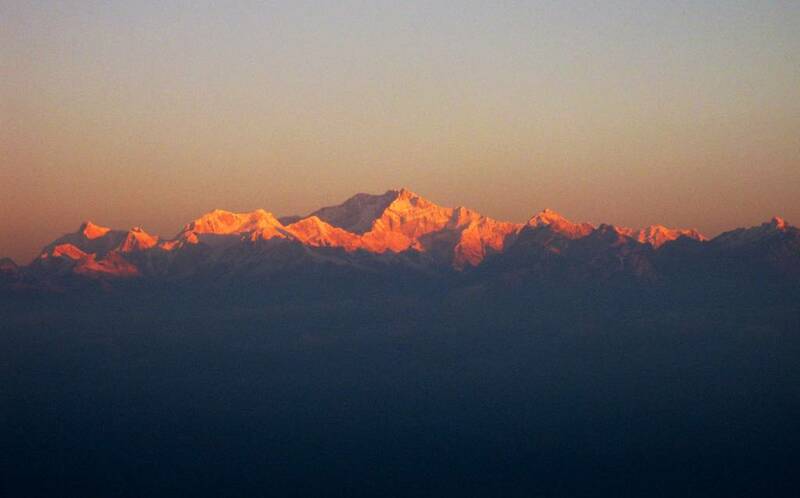 Though winters are very cold,, if you are okay with chilly weather, you can still visit Darjeeling. Summers are a kind of warm, but it’s still better than rest of the West Bengal and hence it is considered as a good escape from the heat. Generally, monsoons should be avoided because Darjeeling digests a very heavy rainfall during this season. If a couple loves to visit misty mountains and stunning valleys, then Darjeeling is the best place to visit. Tourist finds best places to visit in Darjeeling and they can book Darjeeling honeymoon package at Honeymoon Bug at all affordable prices.